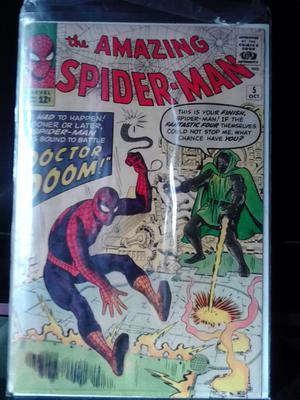 I have a copy of The Amazing Spider-Man, vol.1 no.5 October 1963 issue. "DOCTOR DOOM!" "MARKED for destruction by DR. DOOM!" What's it worth? 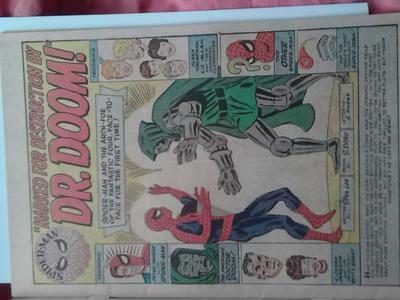 Editor's reply: Hi Kyle, thanks for sharing this great old comic book. Early issues of Spider-Man comics are very collectable. You will never struggle to find a buyer for this issue -- Spider-Man is the world's #1 collected comic book character. It's not easy to tell the condition from the photos, but the pages look nice and white, and there are no obvious major issues with the front cover. Of course I can't see the back cover, or count the pages to ensure it's complete. Under the circumstances it's not possible to value this higher than $200, but if I had it in my hands the chances are it would be worth a bit more. If graded by CGC, you'd have a much better idea of the value. Good luck if you decide to sell!